Since the writing of the original article, Britain has voted to leave the EU. The advice for long-term investors was to stay put and weather the storm. A significant market rally followed the initial 'shock' in the FTSE. Many AES International clients are now significantly more wealthy as a result. Although much remains to be seen as far as the wider economic outcomes are concerned, we know that many so-called professionals made failed bets on remain... read on to judge our original position with the benefit of a little hindsight! Will it trigger a market crash? 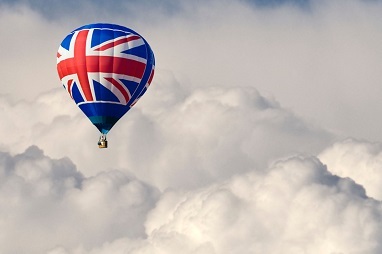 Britain is gearing up for a vote later this year which has the potential to send shockwaves through financial markets. A British exit from the European Union – a “Brexit” – would be one of the single biggest political events in the country and potentially in the EU, for decades. The question is, how will it affect your money? It’s no secret that financial markets don’t like uncertainty. So the likelihood that there will be some market wobbles in the weeks and months leading up to the vote this summer is fairly high. But how deep will the uncertainty go? Could it push the UK into a full blown recession? Will Europe, still licking its wounds from its last recession, be pushed back into turmoil? How worried should you be? The EU is a hugely important trading partner for the UK. According to the latest available figures from the UK’s Office of National Statistics (ONS), in 2014 exports to the EU accounted for 44.6% of all exports of goods and services. And this number is growing. Despite falling as a proportion of overall exports, the value of exports from the UK to the EU grew by an average of 3.6% each year between 1999 and 2014. If the UK were to vote to leave the EU, in order to continue these exports, it would first have to secure access to the European single market. It would then need to renegotiate EU trade deals with the 27 countries which make up the single market. This wouldn’t just be bad for UK exporters – but also for those countries which export into the UK. According to the same ONS figures, the UK actually imports substantially more from the EU than it exports into it. In 2014, the gap between what was exported and imported reached £61.6bn. Essentially all of this means there is currently a very healthy cross-Channel trade between the UK and its EU counterparts. A Brexit wouldn’t necessarily prevent trade, but it would make it more complicated – in the short term at least. But it’s not just trade which will be affected. Foreign direct investment in the UK by Europeans is extremely high. According to ONS data, in 2014, 46.4% of assets held in the UK by overseas residents and businesses were attributable to the EU. Again, there is no specific reason why a Brexit would mean a sale of UK assets by those based in the EU – but uncertainty does sometimes force investors to take preventative measures. Investors may decide to sell, rather than risk any unforeseen consequence of a Brexit. And don’t forget that other foreign investors may be more cautious too. Why hang on to an investment if it’s already turned a good profit when there is a known risk ahead? In monetary terms, the amount of foreign direct investment in the UK is staggering. In 2014 it is believed to have broken through the £1trillion mark. That money won’t evaporate overnight, but there is clearly a lot at stake here. How could it impact you? Despite being a “known risk” it is very hard to evaluate exactly how a Brexit will affect investors. The current thinking from fund groups is that it will undoubtedly lead to increased volatility this year as investors try to second guess the result and which companies stand to lose or gain. In the long run, this volatility, as it always does, will die down. The UK, if it has decided to exit the EU, will have its work cut out – but will not lose many of the fundamental factors which make it an attractive investment destination for foreign businesses and people. Our suggestion is to review your portfolio. Pick out any funds which may be affected by this year’s coming volatility and decide whether you are happy to stomach it, or need to sell. If you aren’t in need of the cash and are investing for the long term, it’s probably sensible to leave things where they are. If you want help and independent financial advice on preparing your portfolio for the coming year, use the contact form below to get in touch. Ashley Hull was a valued Banking and Investment Executive at AES International. Ashley no longer works at AES International, however, his posts are still valuable.